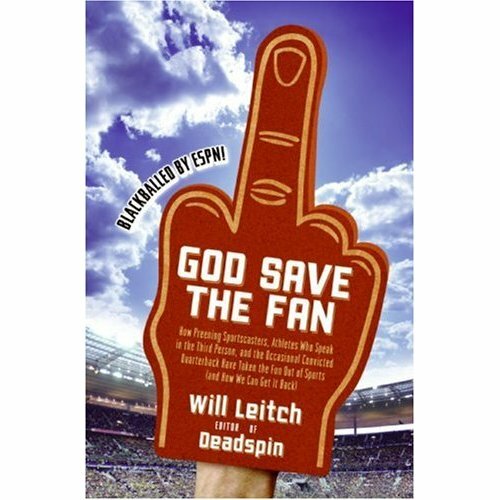 If you're reading this site, you probably already know this, but if you have anyone in your life who cares about sports, Will Leitch's new book God Save the Fan: How Preening Sportscasters, Athletes Who Speak in the Third Person, and the Occasional Convicted Quarterback Have Taken the Fun Out of Sports (And How We Can Get It Back) is the perfect gift. * Patton Oswalt answers the question "What was the funniest person, place or thing of 2005?" for the Comedy Central Insider blog. 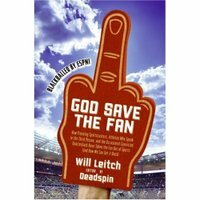 * Tonight is the latest edition of Will Leitch's excellent Growth Spurt Reading Series, at Happy Endings at 8. I'm going to try to stop by after seeing a rare New York appearance by Lizzie Skurnick (aka The Old Hag) reading from her new book of poetry, "Check In", at the Jen Bekman gallery. * Speaking of readings, remember my old humor reading series, Ritalin Readings? Well, it looks like it's coming back with a vengeance, bigger and better in 2006. I'll still be booking talent and co-hosting with Alex Balk, but now a really cool production company is going to be producing it. More, as you might imagine, later. But I'm super-excited. * Last night I dreamed there was a magazine called "American Comment", that consisted solely of letters to the editor and reader polls, solicted in the previous issue. Before you say "that's the stupidest idea ever", I'd like to point out that Americans are the stupidest people ever. It's a total P.T. Barnum idea, like Desperate Housewives, or the Bush Administration. I have no idea what the rest of the dream was about.